Drs. Rohn and Gamble specialize in minimally invasive salivary gland surgery called sialoendoscopy. Sialoendoscopy entails placing a small telescope into the salivary glands through the salivary ducts that empty into the mouth. Sialoendoscopy is performed in the operating room under general anesthesia. 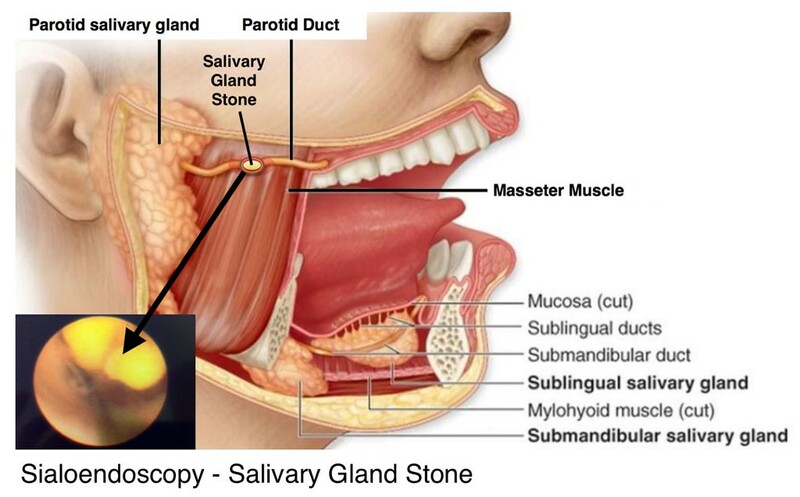 Salivary gland stones (calculi) is termed sialolithiasis. Symptoms are swollen and painful salivary glands, which are located throughout the mouth and neck. 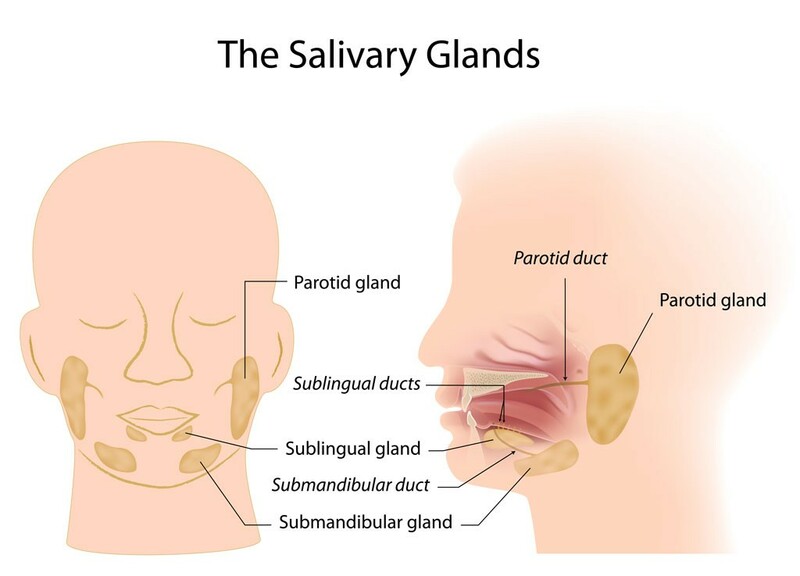 The three main paired salivary glands are the submandibular glands, the parotid glands, and the sublingual glands. When a calcified mass becomes stuck in the duct that drains the gland, treatment is removal of the mass from the duct. All three of these glands can develop tumors, but the most common occurrence is within the parotid gland. In most cases, these tumors are not cancerous (benign), but in 25% of cases, the tumor is cancerous (malignant). Stones can develop when certain substances in your saliva, particularly calcium phosphate and calcium carbonate, crystalize and develop stones that can be as small as a few millimeters and up to larger than two centimeters. The predominant symptom of these stones is pain in your face, mouth and neck that often increases just before or during mealtimes. The reason for this is that your salivary glands produce saliva to facilitate eating and digestion. When the salivary ducts are blocked, the glands become swollen with the backed up saliva, which causes the swelling and pain. Other common symptoms include tenderness and swelling in the face, mouth and neck, fever, as well as dry mouth or trouble swallowing. 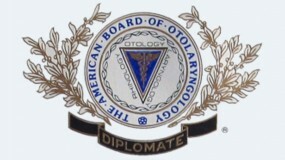 You will be referred to a head and neck surgeon, like Drs. Greg Rohn and Brad Gamble, for a full examination if your health care provider or primary care physician suspects you may have a tumor. If you believe you may have an abnormal growth, you can also self-refer. 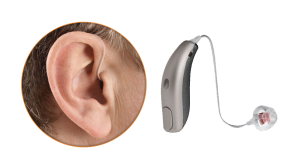 A full examination may include an MRI scan or CT scan to fully determine the size and location of the growth. To test for malignant cells, a Fine Needle Aspiration Biopsy (FNAB) may be performed, which involves taking a small amount of tissue from the parotid gland. Salivary gland tumors require surgery for treatment. This generally involves removal of the affected saliva gland including the tumor. 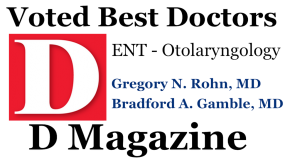 Dr. Rohn and Dr. Gamble are ENT, sinus, and head and neck surgeons with offices located in Plano and Dallas. If you would like to schedule an appointment with our office, please call our Plano office at 972-378-0633 or Dallas office at 214-239-1641.